Through the process of constant adaptation of the buildings in the farm, the complex can be regarded as a form of social culture, not only from the past but also relevant for contemporary living. The Håbakka farm complex consists of five buildings located on a slope in the upper parts of Guddal, approx. 5 km from the town of Rosendal. The buildings form a cluster, with the housing units located in the center. 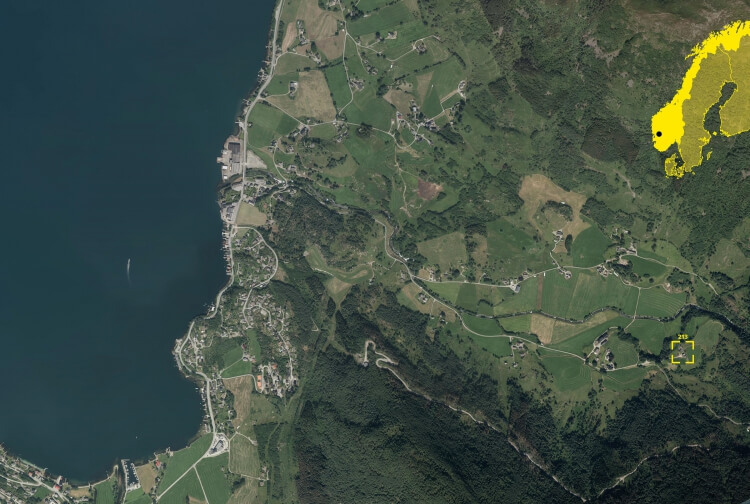 The contemporary perception of the complex is rather static, but this early Norwegian urban typology (tun=town) arose from a building tradition dominated by pragmatism and dynamics. Some of the buildings at the Håbakka complex were purchased elsewhere in the region when the inhabitants needed additional structures. In this way the complex has been an arena for constant changes, depending on the contemporary needs and possibilities of the inhabitants. Through the process of constant adaption, the complex can be regarded as a form of culture, not from the past, but also a relevant culture for contemporary living. The commission was initiated by the farm-owners’ need for a more connected complex. We investigate the possibility to link the two housing units to form a more flexible living area. With the traditional western Norwegian long-house as a reference, an architectural framework for the project was established; the infill-addition would be constructed as a pragmatic and distinct feature to the complex, both externally and internally. A great deal of emphasis was put into managing this without dominating the complex. The following site-specific qualities constitute the framework for the commission: The infill-addition is built in between the two housing units. The adjacent housing units are extremely small with low ceilings and very little daylight. This generated an ambition to develop an open, multi-purpose linking-structure that enables the inhabitants to utilize the two housing units in a more flexible way. The existing housing units were to be kept in their present condition, and a gentle approach to these old and valuable structures was engaged. The infill-addition is therefore slightly disconnected from them, only touching them with two extruded doorways. Before the addition was built the gap between the two housing units created a visual connection between the central farm-yard facing the fjord, and the hillside behind the farm. This quality was kept through constructing the addition as an open structure providing both daylight and view in these directions. The interior reflects the topography of the sloping site with different levels and stairs. In this way the former gap retains the quality as a point of orientation and identity in relation to the surrounding landscape.